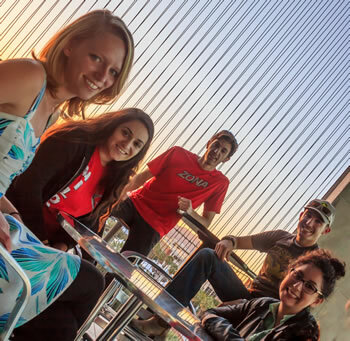 UA Engineering is home to transfer students from many institutions in Arizona and across the country. The College is honored that you, too, are looking to continue your educational journey as a Wildcat Engineer. Please explore transfer student admissions guidelines below, and let us know if we can help. Transfer students make up about 20 percent of the College’s incoming class. Transfer students apply directly through the UA application system to the Engineering major of their choosing. 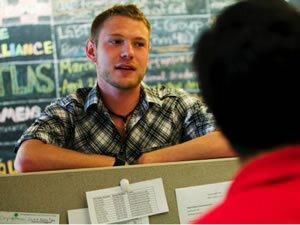 Applications are reviewed by UA Admissions and the College of Engineering. The University of Arizona defines as transfer student as someone who has completed 12 or more post-high school credits. High school seniors with dual enrollment, AP, or some community college credit apply as incoming freshmen. The program fit and your major-specific GPA will also be weighed in determining admissibility. GPA requirements listed in the chart below serve as a general rule. Major-specific transferable GPA guidelines are the same as minimum GPA requirements for UA Engineering students seeking advanced standing. Sign up for mandatory Transfer Student Orientation. Take any appropriate placement exams. Request any final transcripts be sent to the UA. Remember, all of these steps must be completed before you can register for classes. Arizona Transfer Admissions Pathways agreements outline the official, clearly defined degree pathways between community college partners and the UA. Remember to use pathways in consultation with advisors from your community college and the University of Arizona. Degree pathways are subject to change, and completion does not guarantee admission; however, utilizing these tools can assist in preparing for a smooth and successful transfer to UA Engineering. Please see the University’s Arizona Course Equivalency Guide or Transfer Credit Guide for more information. Contact the College’s transfer student enrollment coordinator or your major adviser to learn more about the programs, schedule an appointment, or get guidance on creating your path to a UA Engineering bachelor’s degree. For information on UA Engineering transfer student admissions, call 520.621.6032, or email engr-admissions@email.arizona.edu. Choose your student type for more information.